Also known Creeping Wood Sorrel, Oxalis weeds are found throughout Florida. The genus name Oxalis is a Greek word meaning sour. Sour refers to the acidic taste of the foliage. Oxalis is tough and can take over your lawn. 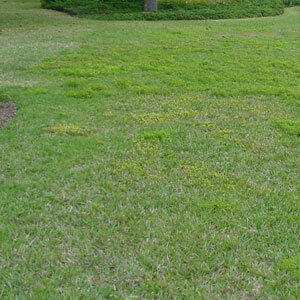 However, tough weeds like oxalis can be eliminated by first pulling, then treating the regrowth immediately. Once established, spurge can be difficult to control. If you still can’t beat oxalis, call us, we can help.